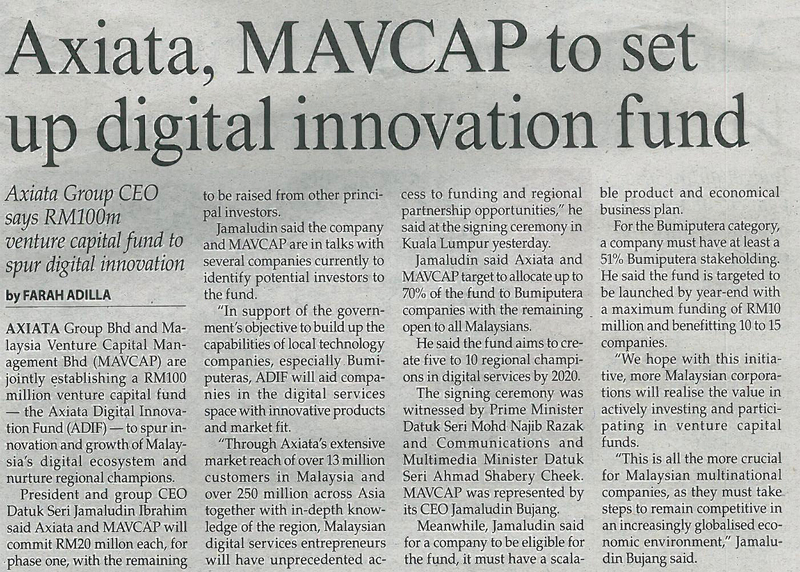 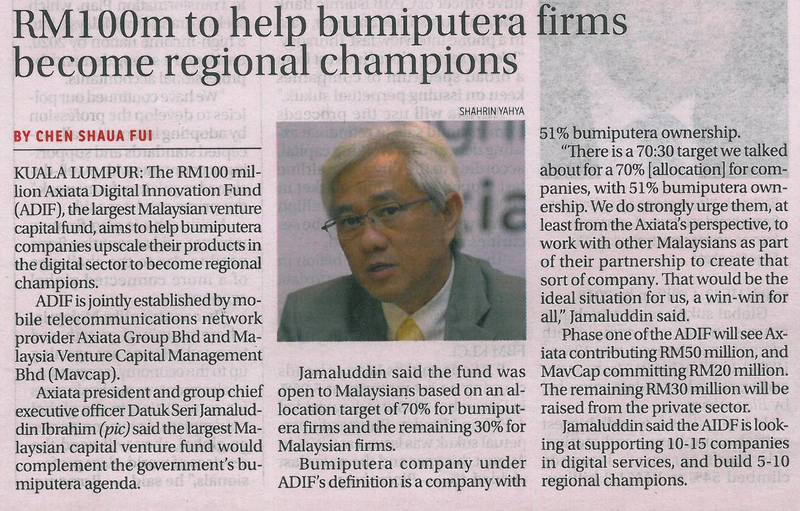 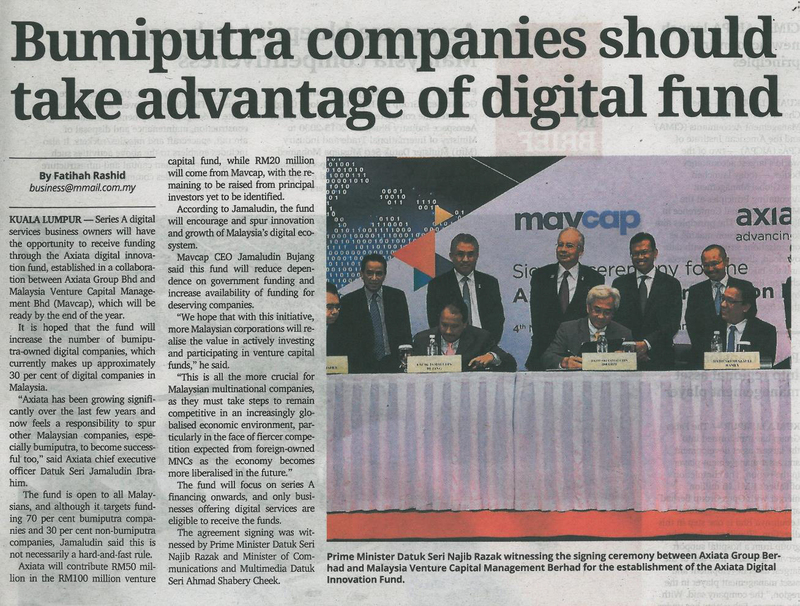 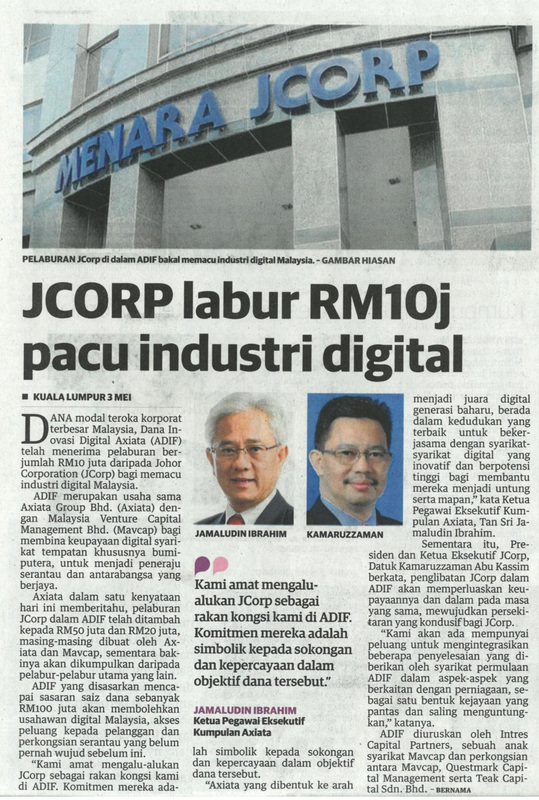 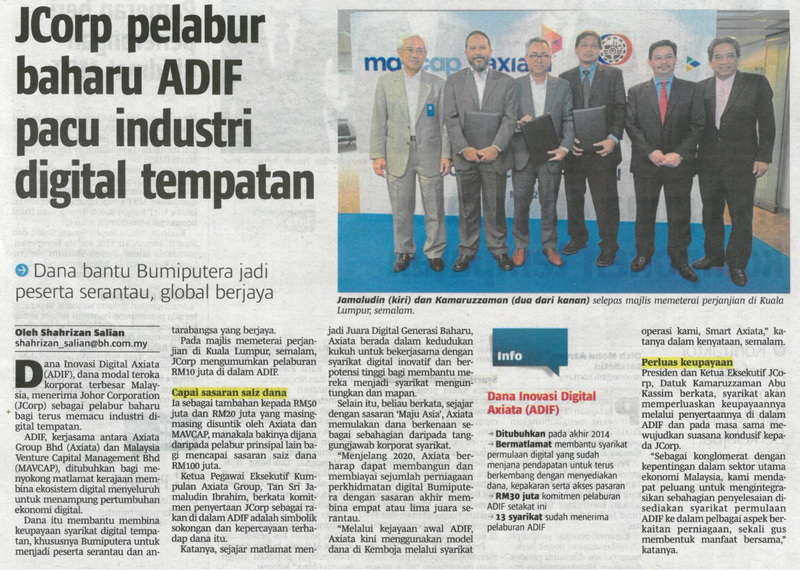 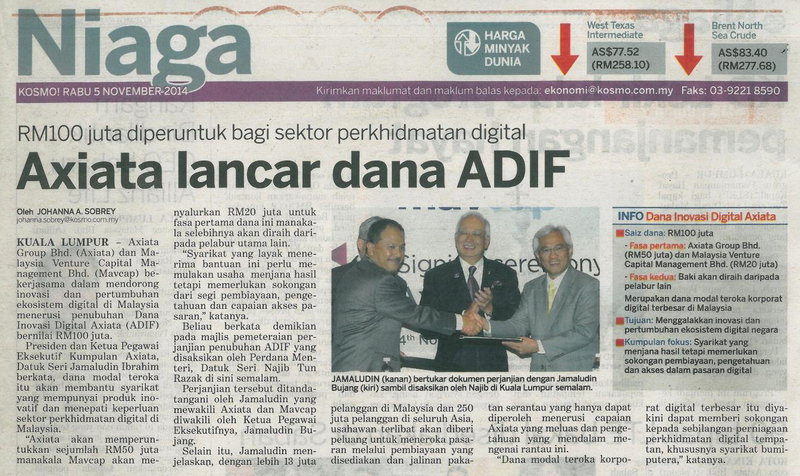 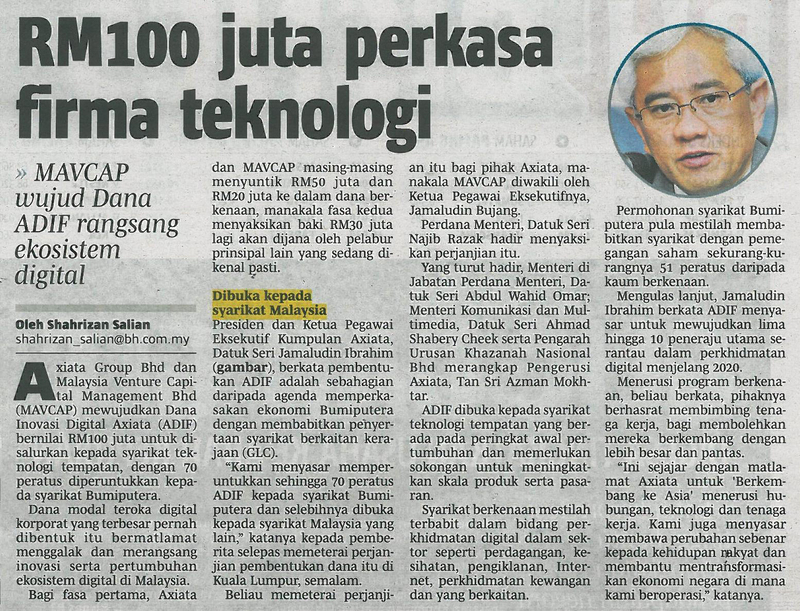 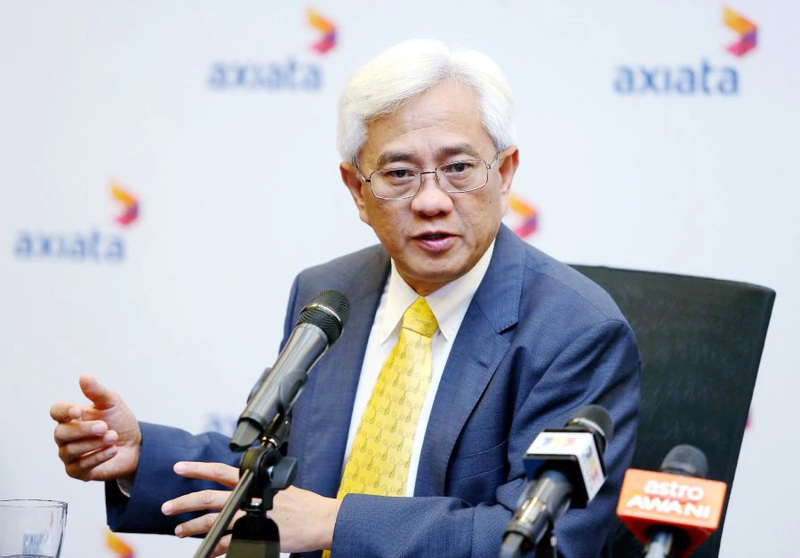 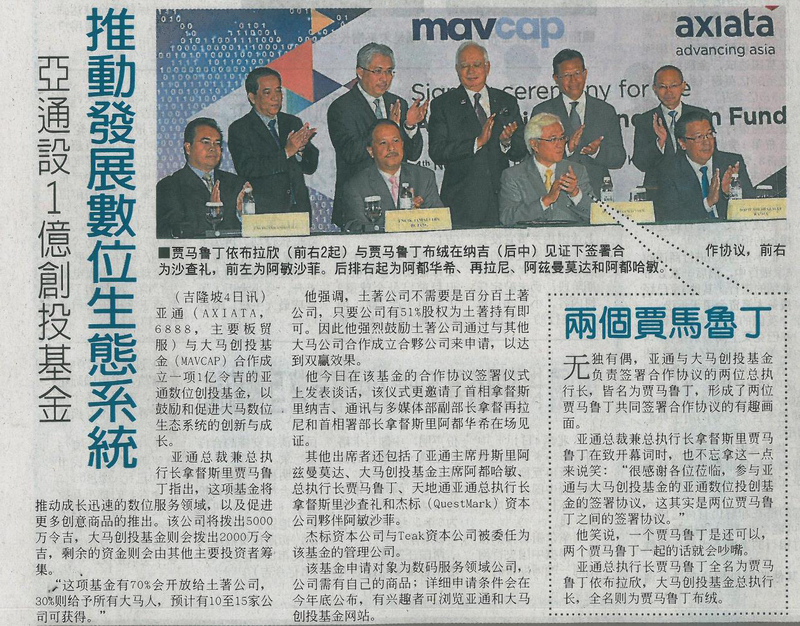 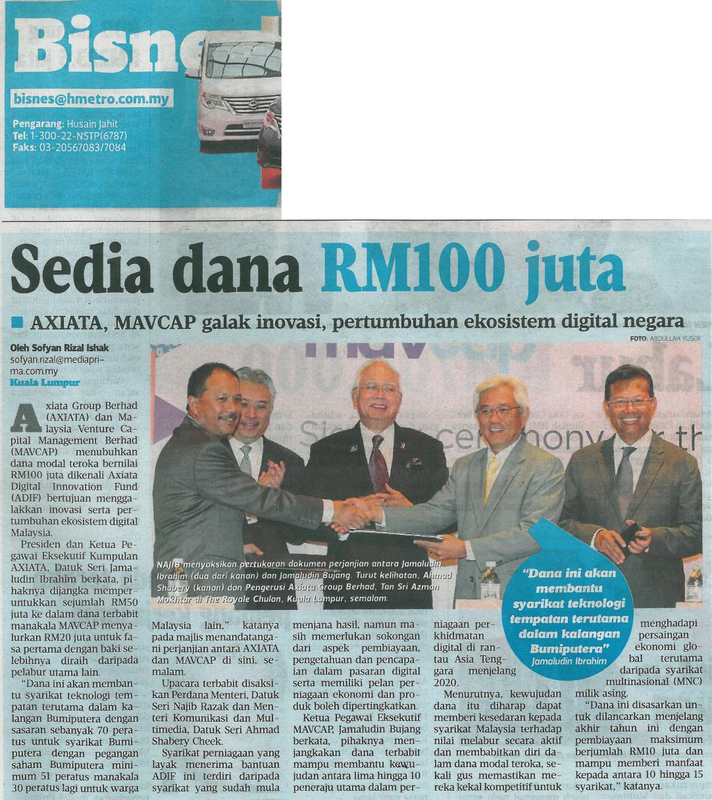 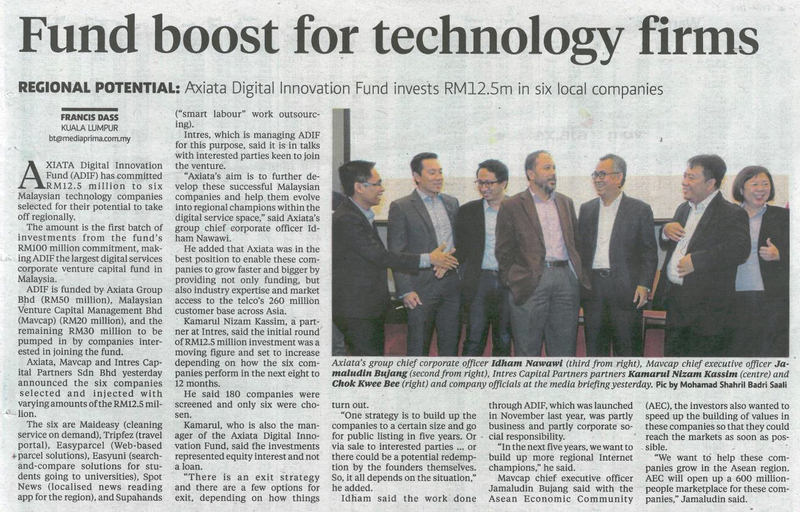 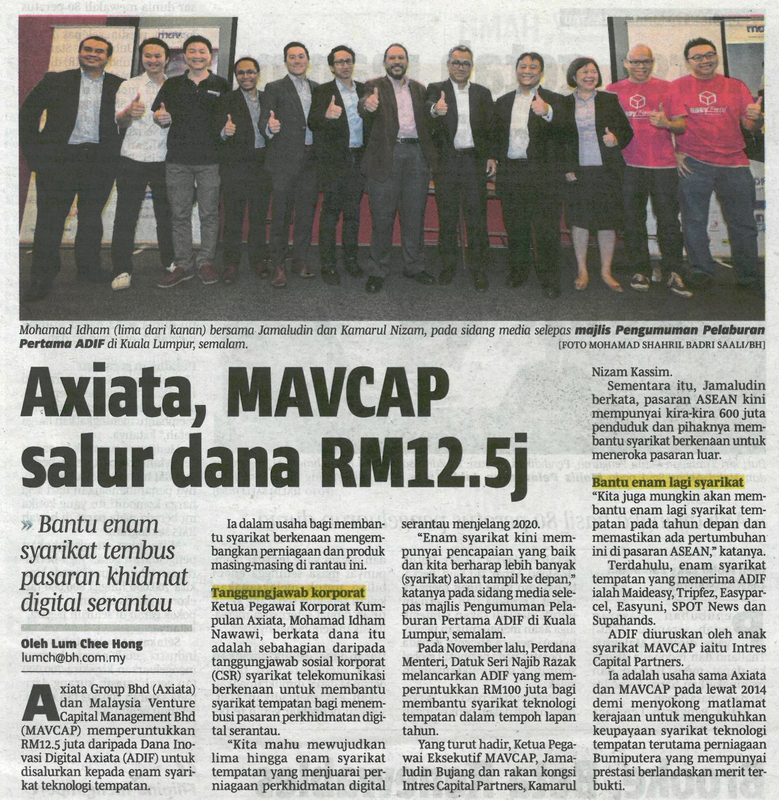 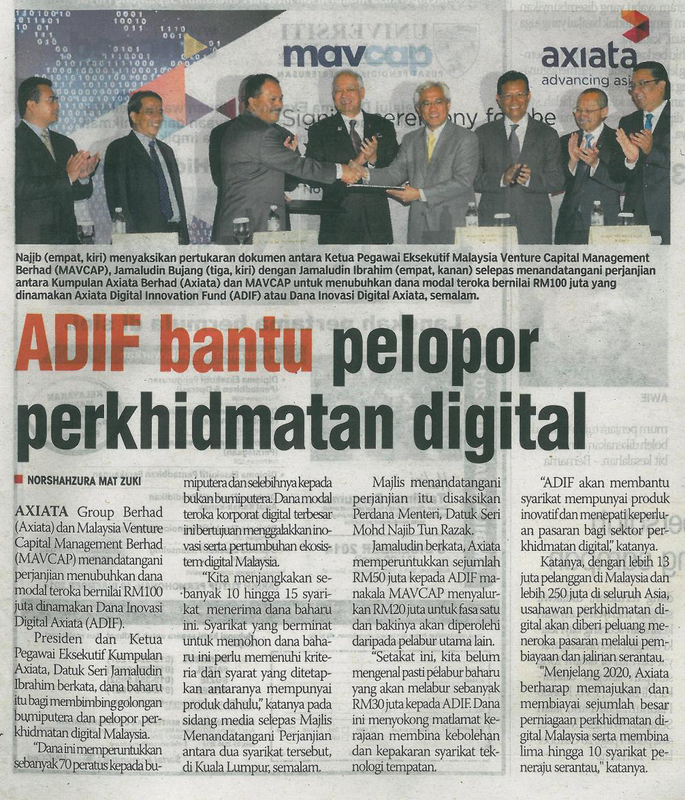 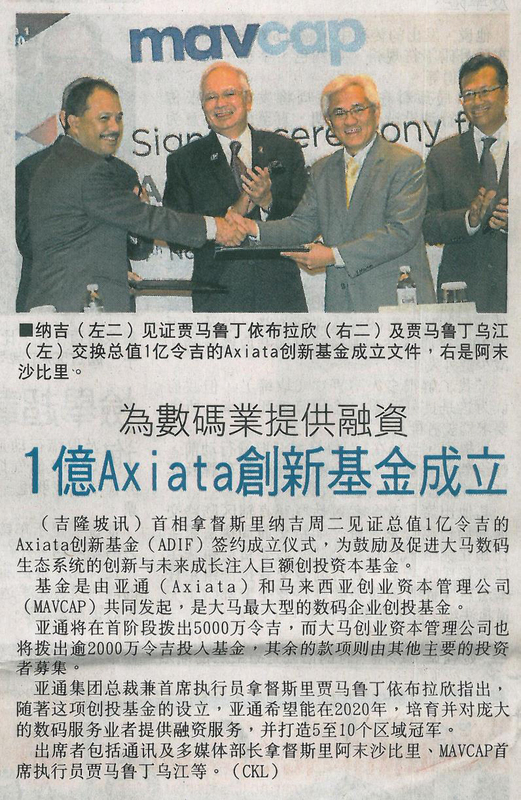 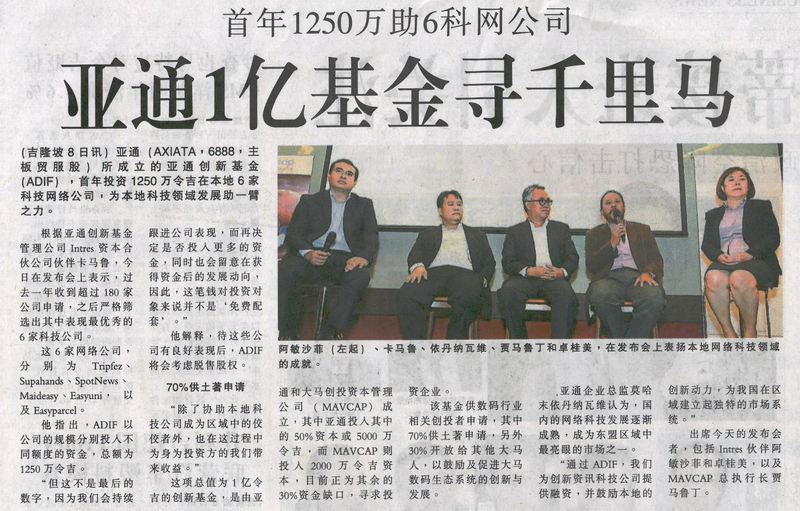 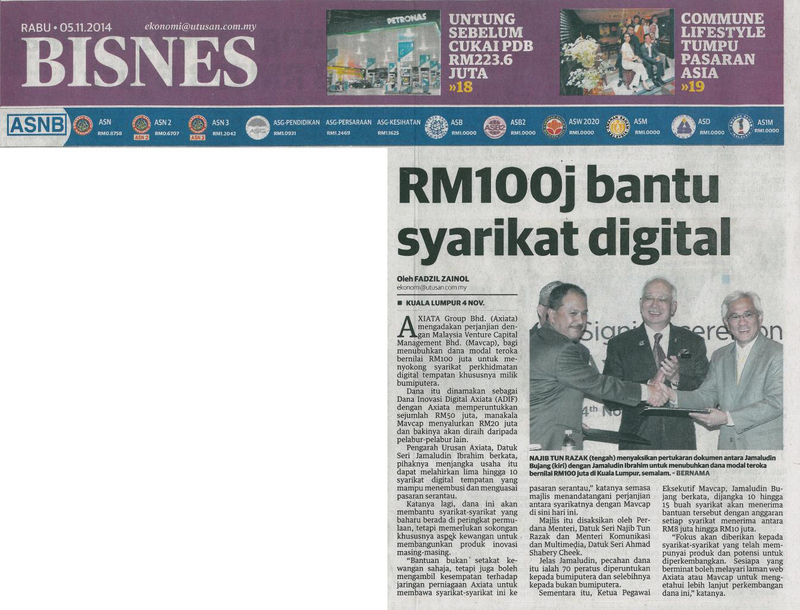 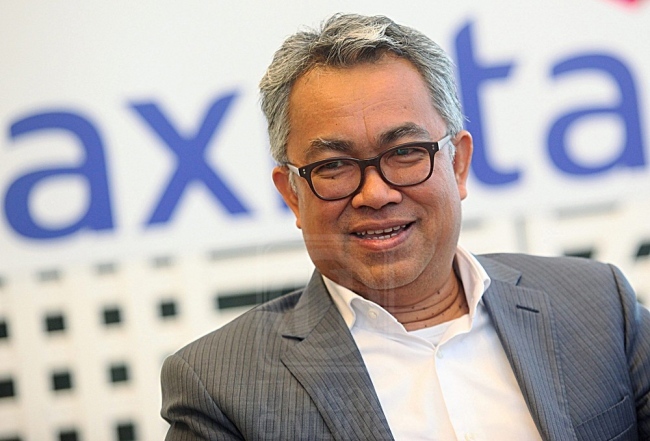 Today Axiata has opened up select APIs for external parties, including start-ups, to subscribe and utilise. 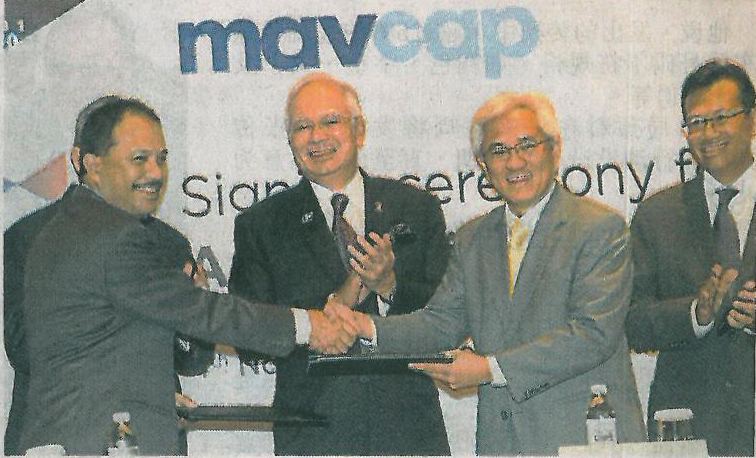 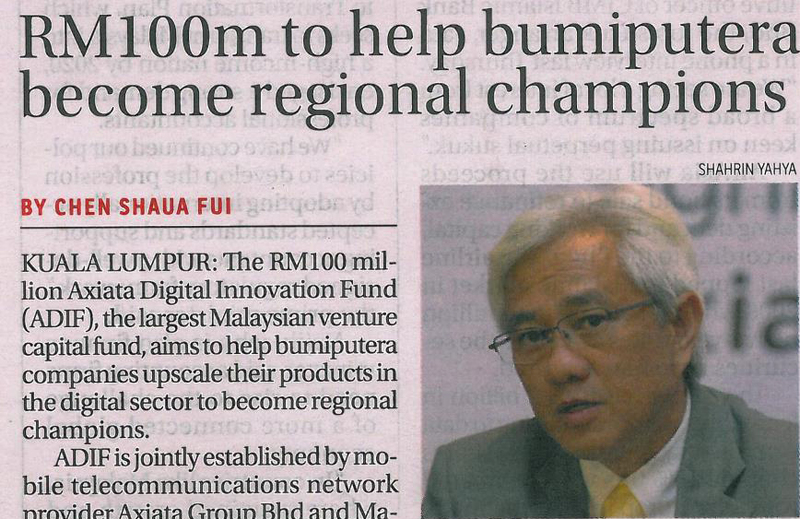 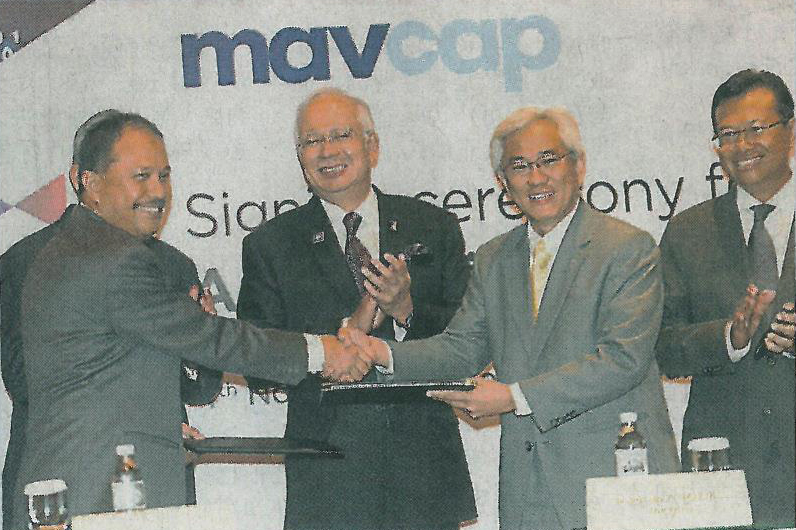 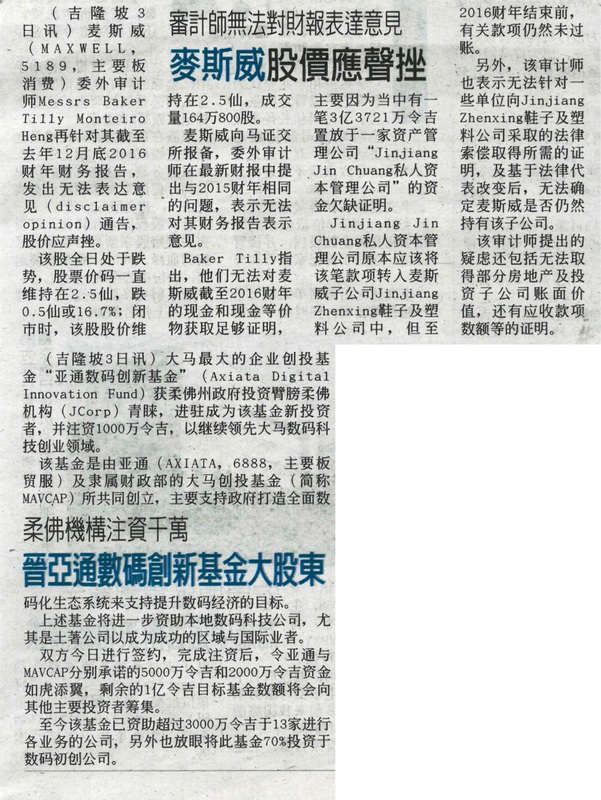 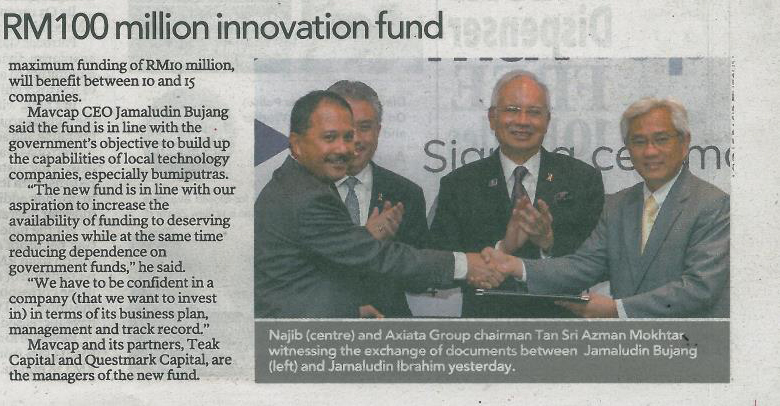 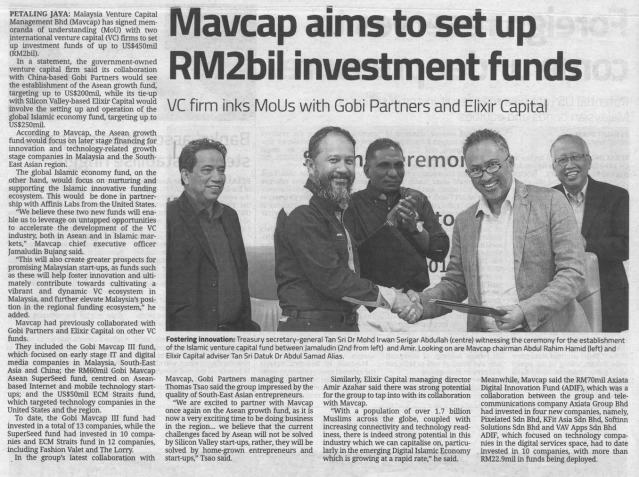 Malaysia-based startup Slurp! 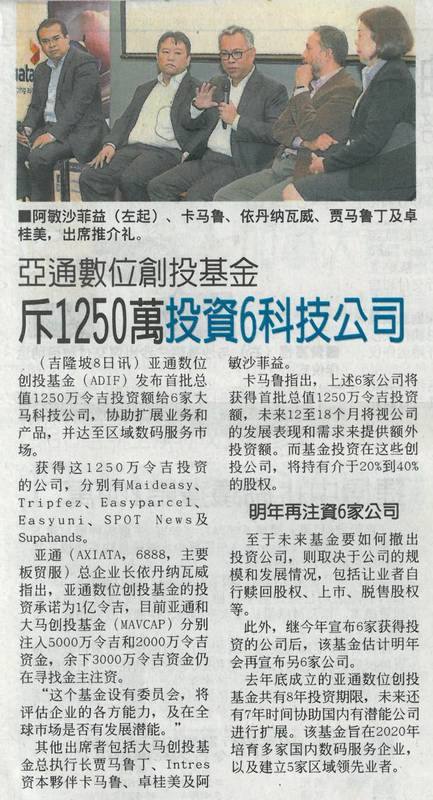 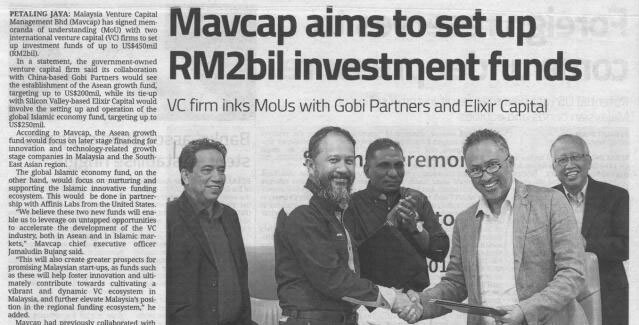 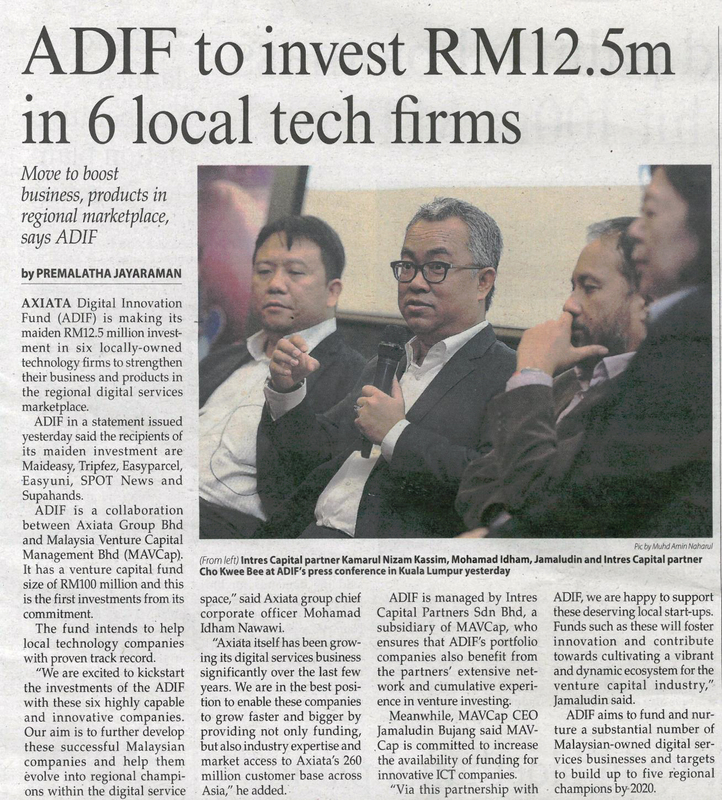 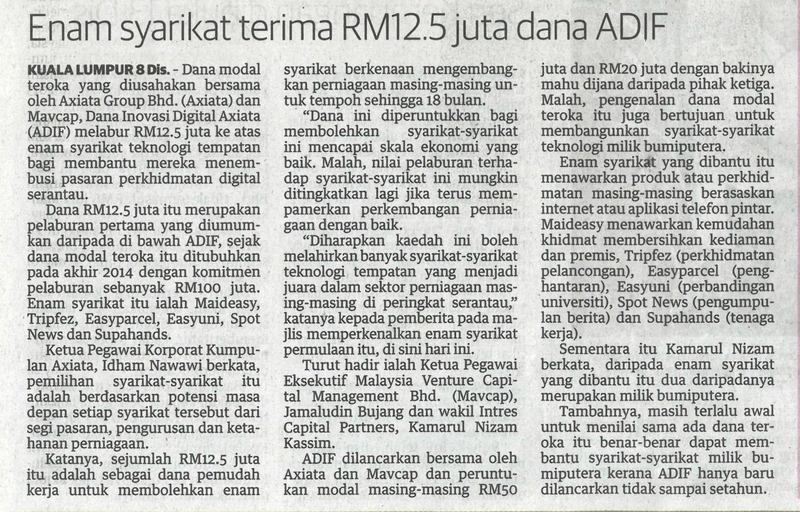 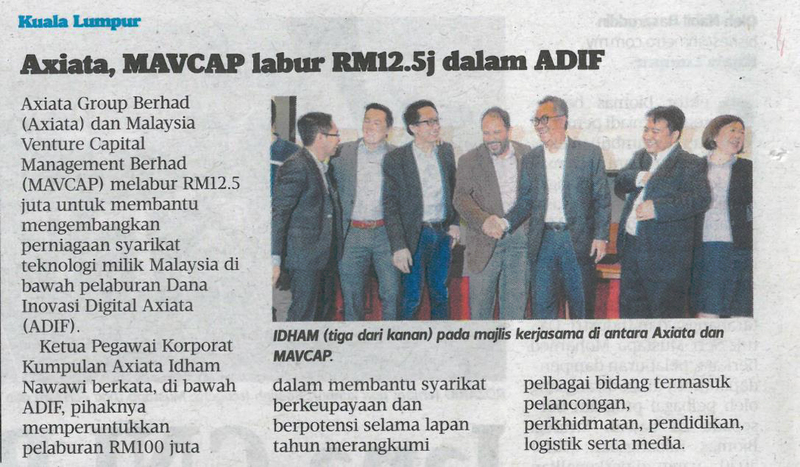 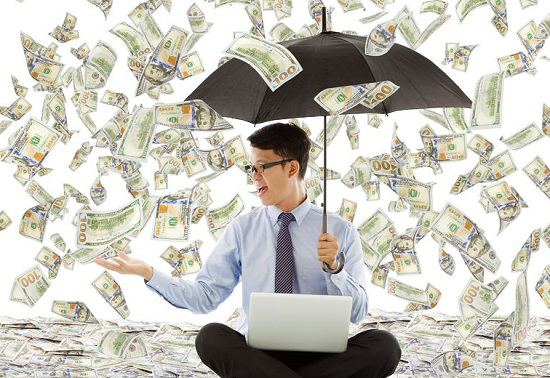 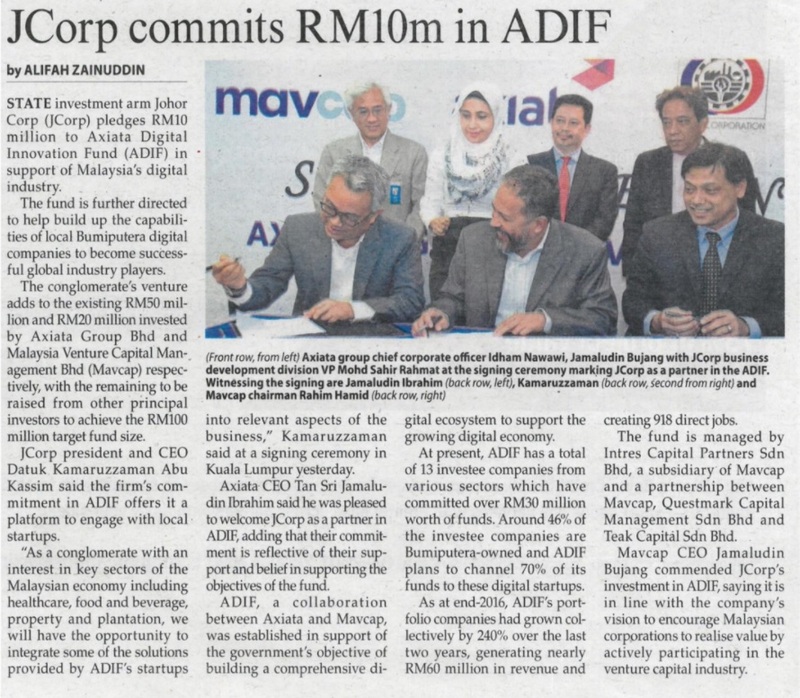 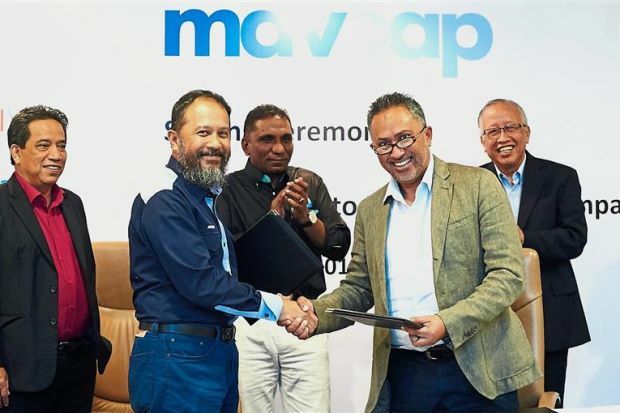 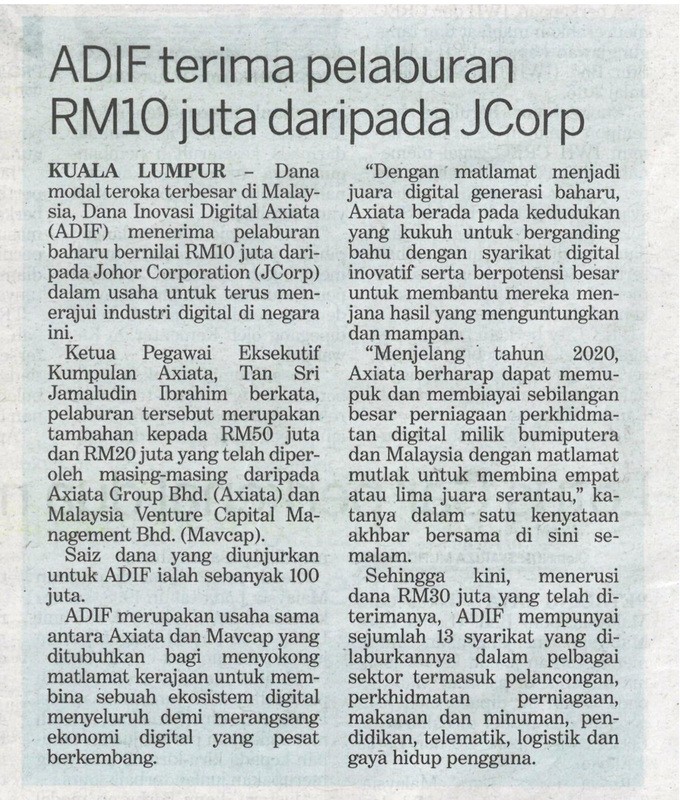 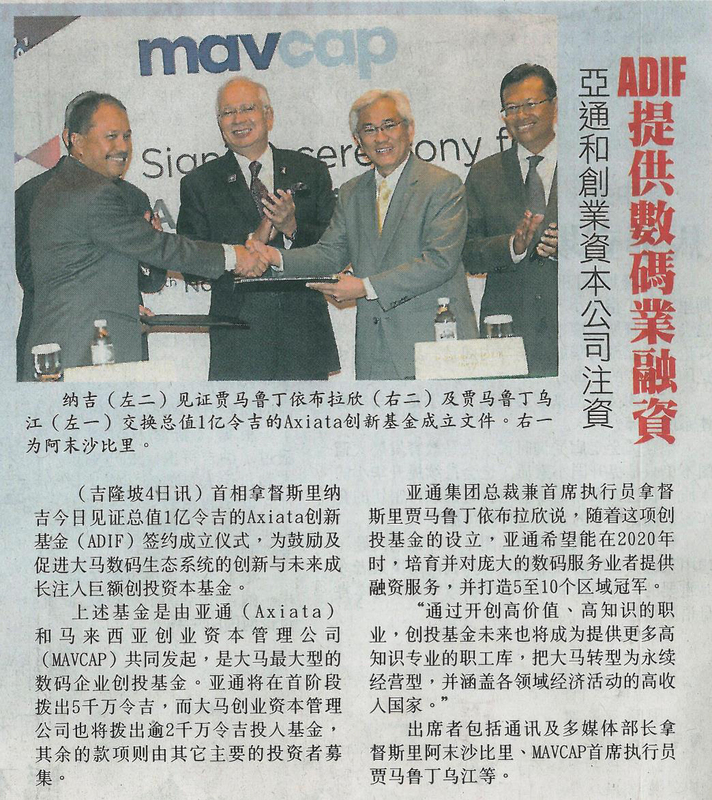 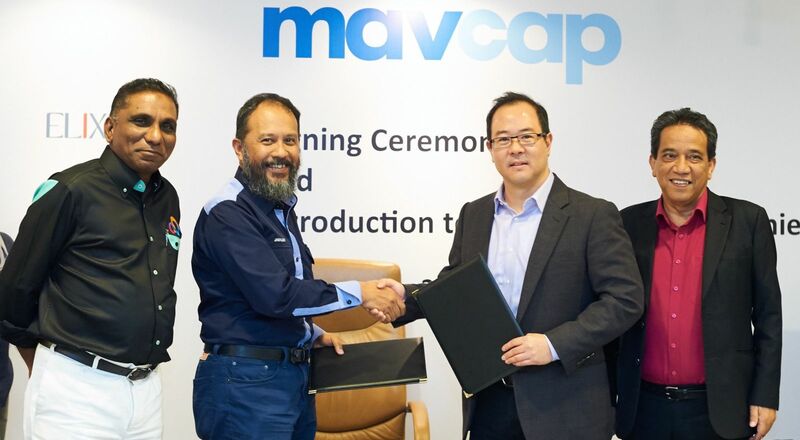 has raised RM 2.5 million (US$580,000) in Series A round led by Axiata Digital Innovation Fund (ADIF), a regional fund that has made investments in several notable Southeast Asian startups, including O2O platform Fave, virtual assistant outsourcer Supahands and cloud-based reservations platform Softinn. 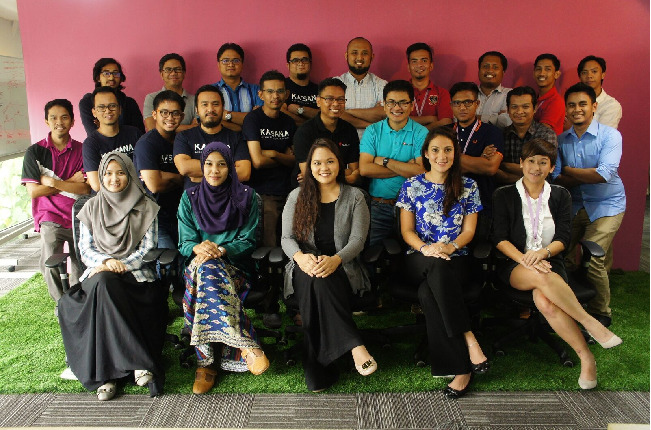 MALAYSIA : based Lagisatu has launched Salam Standard, an online hotel reference tool dedicated to Muslim travellers. 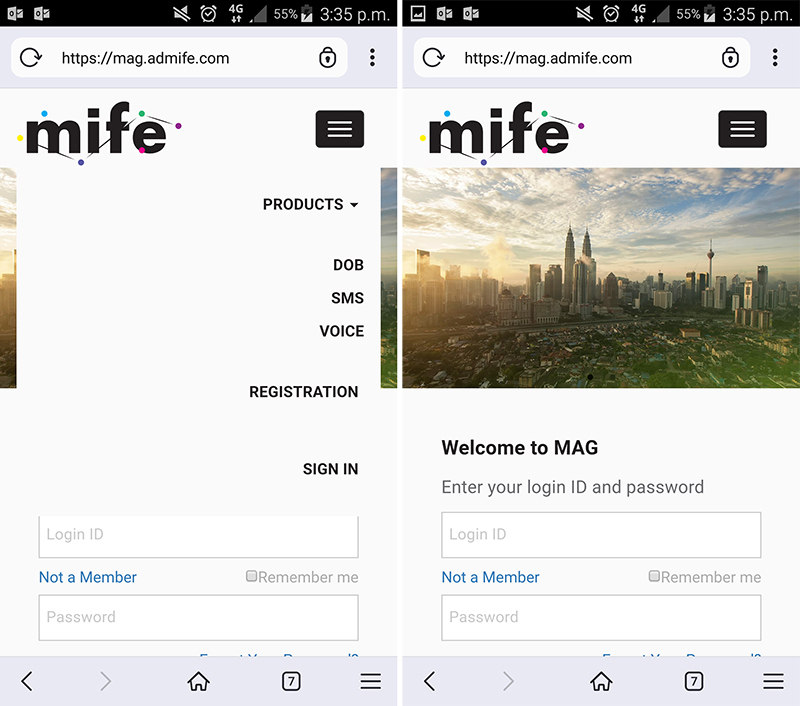 © 2015, Intres All Rights Reserved.